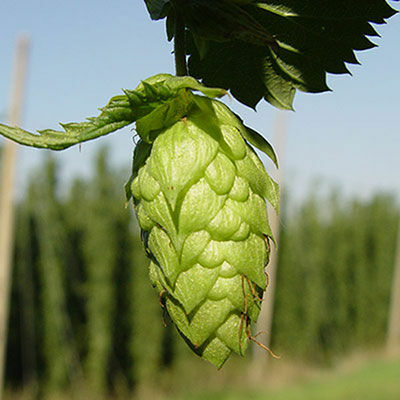 Hops can be planted as a plant in spring/summer, or as a dormant rhizome in late autumn/winter. Hops require long periods of daylight. Best results are achieved by planting your rhizome in 18cm high, mounded rows, 5cm deep, running in an east west direction for maximum sun exposure. This also aids in drainage and root control. Because Hops grows rapidly in it’s growing season, it requires to be grown on a structure. This can be in the form of a fence, trellis and/or a more professional string and post system. Fertilise with a high nitrogenous fertilizer like Dynamic Lifter or chicken manure. Pick your Hops fruit when they are dry and starting to go brown.